From the main menu, click Temp Folder. Set the TMP and TEMP environment variables. 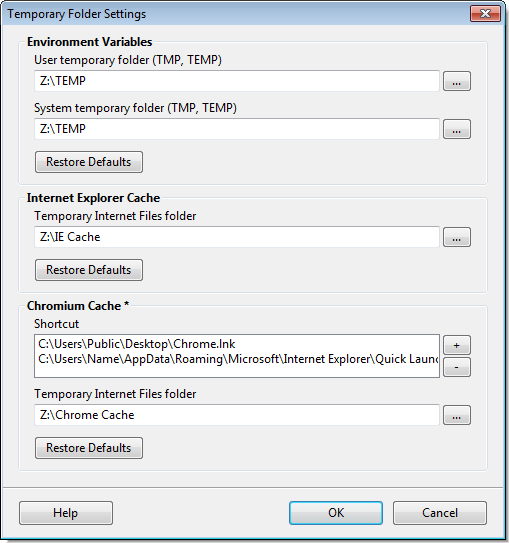 Set the Temporary Internet Files folder and the disk space available. You must log off from Windows for the changes to take effect. Set the Temporary Internet Files folder. Google Chrome is available free disk space, use the default setting. Quit all running on Google Chrome and re-run it.